The ISD Board of Trustees met on Thursday 18 February for its monthly meeting. Below are a few highlights from the meeting. 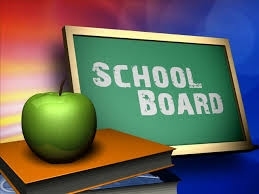 The Board reviewed the proposed school budget for the 2016-2017 school year in its second reading. The 2016-2017 school budget features the lowest tuition increase in ISD in the past five years, while setting aside resources for ISD’s contingency and capital reserve funds. Among its priorities, the 2016-2017 budget includes an improved compensation package to ensure that ISD continues to retain and attract high-quality teachers and staff; provision for new teaching positions to ensure our commitment to maintaining low class sizes; and funding to further develop ISD’s Strategic goals on furthering its students’ social and emotional learning and leadership skills. The proposed 2016-2017 school budget was adopted following a vote by the Board. Director Dr Alan Knobloch gave Board members an overview of the draft campus master plan. The aim of the campus master plan, which is being developed by ISD administration in collaboration with Flansburgh Architects, is to provide a framework for developing ISD facilities over the next five to ten years, depending on various enrollment scenarios. The campus plan will be reviewed by the Board’s Building and Grounds committee at its next meeting. A significant portion of the February Board meeting was devoted to a discussion on enrolment at ISD. Several questions were raised: how do we plan for different enrolment scenarios, financially, and in terms of facilities? What impact does the size of the school have in ensuring that ISD provides its students with the best possible educational experience? Is there an optimal school enrolment size for ISD? Full minutes of the 18 February meeting will be available to the ISD community following approval by the Board in March 2016.